If you have to quickly set up or update a complex pricing structure, the AccountMate Pricing Control module has the tools you need. Its features include price maintenance in one menu location; unlimited multi-level pricing set by order quantity or price code for each item specification and unit-of-measurement; the ability to set minimum prices, multi-currency pricing and pricing based on the most recent sales order or invoice price. 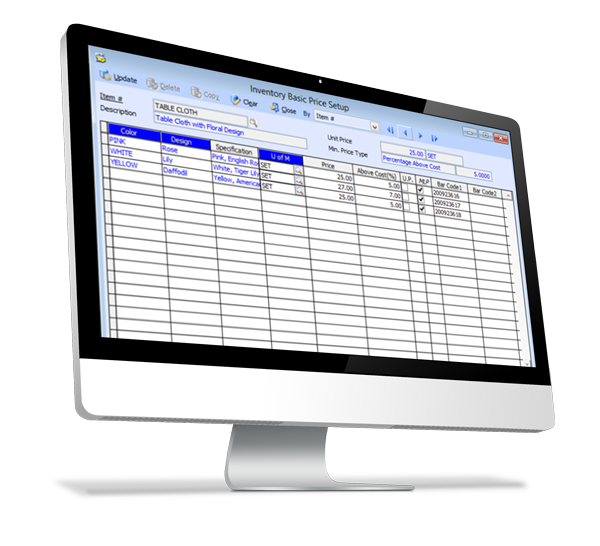 This module is ideal for making quick and easy changes to inventory prices with minimal time spent on data entry. The Pricing Control module integrates with AccountMate’s Sales Order, Accounts Receivable, Inventory Control and Inventory Specification modules.